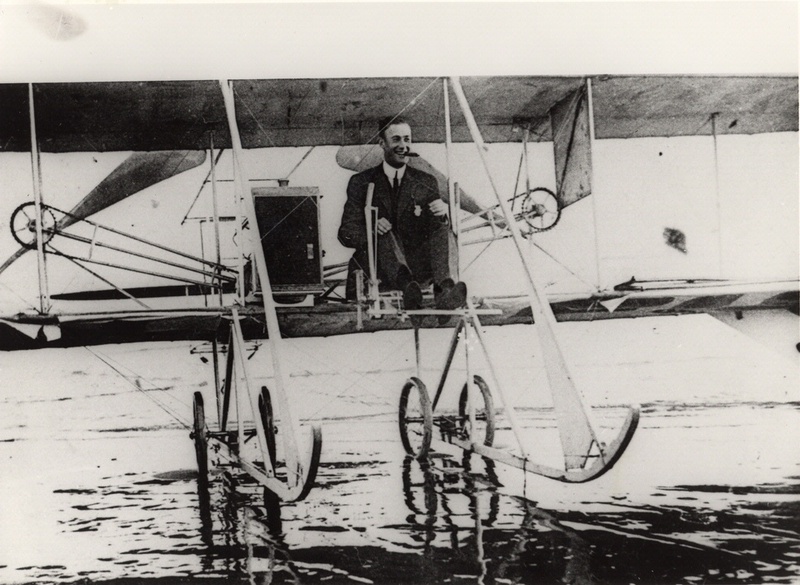 Calbraith Roger's cross-country flight officially ended when Rodgers reached Pasadena on November 5, 1911, but he wanted to make the final short hop to the Pacific. Along the way he crashed once again, but this time he was badly hurt. After weeks of recovery and extensive repairs to the Vin Fiz, he finally made it to the Pacific, at Long Beach, California, on December 10. National Air and Space Museum, Smithsonian Institution (SI 77-9038).